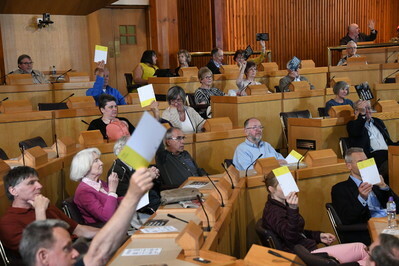 In partnership with the University of Aberdeen, on 25 May 2018, the Futures Forum held an event on the aspirations for our future in Aberdeen and the North East. Using the Our Future Scotland video as a prompt, an expert panel provided their perspective on the opportunities for the North East in particular and Scotland in general. 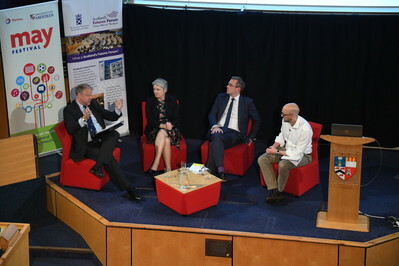 Edel Harris, chief executive of social care organisation Cornerstone and EY Scotland entrepreneur of the year 2017 was joined by chair of Culture Aberdeen Dr Duncan Cockburn and Neil McLennan, senior lecturer at the University of Aberdeen School of Education for the discussion. The seminar was chaired by Futures Forum head of business Rob Littlejohn. Support traditional food and drink businesses as start-ups – Grampian companies such as Baxters and Walkers were small once!